At Rockingham Castle, protecting your personal data is a matter of the utmost importance. We do not sell, trade, or otherwise transfer the information you share to outside parties, with the exception of trusted third parties who assist us in operating our website, conducting our business, or servicing you, so long as those parties agree to keep this information confidential. We will not use your information to contact you with marketing or promotional materials without evidence of explicit consent. Find further information in the full policy, outlined on this page. Rockingham Castle is registered with the Information Commissioner’s Office in accordance with the Data Protection Act and General Data Protection Regulation. Our reference number is Z9167821, and our Data Protection Officer, Katie Callaghan, can be contacted by emailing estateoffice@rockinghamcastle.com. We offer the use of a secure server. All supplied sensitive/credit information is transmitted via Secure Socket Layer (SSL) technology and then encrypted into our Database, only to be accessed by those authorized with special access rights to our systems, and are required to keep the information confidential. You have the right to complain to the Information Commissioner’s Office if you believe there to be a problem in the way we are handling your data. Cookies are small files that a site or its service provider transfers to your computers hard drive through your Web browser (if you allow) that enables the sites or service providers systems to recognize your browser, capturing and remembering certain information. This website uses Google Analytics to help analyze how users use the site. The tool uses “cookies,” which are text files placed on your computer, to collect standard Internet log information and visitor behavior information in an anonymous form. The information generated by the cookie about your use of the website (including your IP address) is transmitted to Google. This information is then used to evaluate visitors’ use of the website and to compile statistical reports on website activity for Rockingham Castle. Once purchased, tickets cannot be exchanged, refunded, or returned. Visitors are reminded that for technical or operational reasons, some facilities may be removed or closed or entertainment cancelled and/or altered at any time. 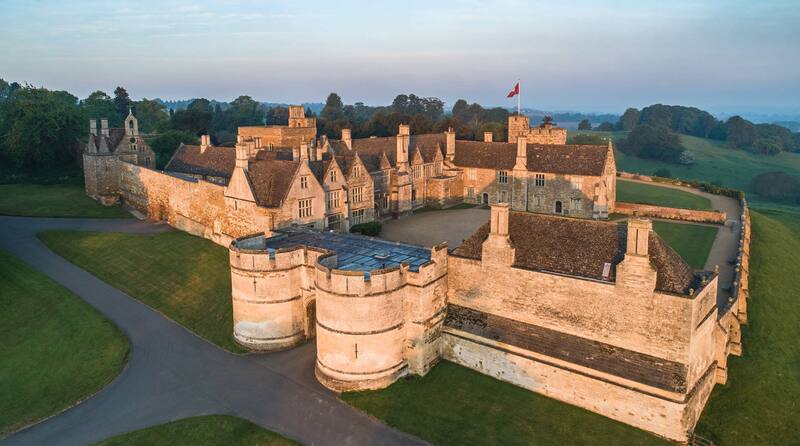 Rockingham Castle reserves the right to change the programme of attractions and entertainment if at any time it is deemed necessary or appropriate to do so. All guests visiting Rockingham Castle must have a valid entrance ticket. Rockingham Castle reserves the right, at its absolute discretion, to refuse entry or admission.